Board Members in attendance were: Rob Frits, Rob Stark, Nancy Brown, Jerry Martin, Judy Hammond, Ralph Gresham, Jason Combs and Bobbye Kelly. Board Members absent: Hope Feiner and Jamey Smithson. Also in attendance were Alicia Hines, Treasurer; John Duke, Property Manager, Matt Baker, ARC, and Officer Scott, Springdale PD. The meeting was called to order at 6:30 p.m. by President, Rob Frits. Resident Concerns: Resident Bill Adams on Founder’s Park was present requesting permission to keep his chickens at his residence. He stated they were his pets. He has provided nice facilities in his backyard for them and there is no rooster present. It is against the covenants and a City of Springdale ordinance. He then asked that we just not act on it. Rob Frits stated we would take his request into consideration and get back to him. John Duke advised us that All Around needs new equipment and will give us a $1500. discount if we will pay in advance for July through September 2014. Ralph Gresham moved that we pay All Around’s bill in advance for services July through September 2014, seconded by Jason Combs. The motion passed 8-0. John Duke stated Todd Loftin, principle at Helstern Middle School, had discussed with him the possibility of involving some middle school students in community service projects in the neighborhood. This would be in partnership with the school system’s “EAST Program”. —- Something to think about. Secretary’s Report: presented by Nancy Brown. The minutes were emailed to board members for their review prior to tonight’s meeting. 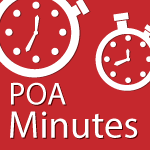 Judy Hammond moved, seconded by Ralph Gresham to approve the June 2014 POA minutes. The motion passed 8-0. Treasurer’s Report: presented by Alicia Hines. Alicia emailed the following, along with copies of pertinent balance sheets and income statements to the board members for their review prior to this evening’s meeting. The attached reports were submitted to the finance committee last week and have received their approval. Once again, the financials look good, under budget and nothing stands out. I am happy to report that we collected all (2013 & 2014 dues) of the DTS dues ($7000) from Cross County bank who has taken ownership. I have also been able to collect from a couple of folks who didn’t pay last year. I sent out certified letters and had good response from most people. We have several that we are working through issues (ie they say they mailed the check but we didn’t receive it). It is time that I start getting forceful with the hearing notices. I will pick up mail tomorrow at the post office so I will update the accounts receivable list before I come to the meeting. Maintenance expenses were up this month as we expected – we had the cost of the street light repairs, plumbing in the pool house, street trim trimming, fence repair and fountain repair. Pool expenses started in June so the payroll shows up. I have only collected for 2 room rentals and then in July I received $75 for pool passes. The POA has not received any other money from the pool. Jerry has asked for a breakdown of the Crumpacker park. This is what I show so if I missed something – let me know. Let me know if something was left out. Jerry Martin moved, seconded by Judy Hammond to approve the April financials. The motion passed 8-0. The trash can that was delivered the week of 6/23 was the wrong product. The new can has arrived but was to be installed 7/24. The 7/23 storm damage has pushed this back to the week of 7/28. Volleyball poles have been painted, new pole bases installed, new net installed. Logan is still aware that he still owes us two trees. After multiple attempts to collect a new check from adjuster, I called the Arkansas Municipal League. They will issue a check the week of 7/28. New lighting fixtures will be installed. Morgan will have price the week of 7/28. The rock has been located at the quarry and was shipped the week of 7/21. Installation is scheduled for the week of 7/28. Emerson will attempt to salvage the existing Har-Ber Meadows sign with no guarantees of it remaining intact. This will be an additional charge and a new location will need to be determined in advance while the crane is available. Rob Frits and others stated it may not be wise to invest any more money in refurbishing.. Bobbye Kelly moved, seconded by Jerry Martin to scrap the old sign. The motion passed 8-0. Brick discoloration in common areas/repair. I have made contact with the City regarding the columns that are in need of repair on the Founder’s Park and Coyote Crossing bridges. The masonry company could not locate a matching brick. ACME Brick has inspected the brick and will no longer return calls or email. I have located the original supplier which was Boral Brick. They no longer carry the Bordeaux brick but have a similar called Vining. The sample board was delivered on 7/23. If it is a satisfactory match, I will schedule with Guadalupe Masonry. Ireland/Tall Oaks Loop North – Morgan has leveled the pole. 56th Street/Francis Fair – On hold for 56th street lane additions. The City of Springdale Traffic Committee met on 6/30 to discuss 3-way stop signs on Francis Fair and parking at ASN. I have discussed the ASN parking situation with Keith Vire. Discussion for Board Meeting. (See attached minutes) Rob Frits added that we have asked for a speed bump but was rejected by the city. We are now asking for 3-way stops to be installed along Francis Fair. The city wants to do their own study on the traffic before allowing the stop signs. It was also added that the circle by the pool is a fire lane and needs to be painted as such to prevent resident parking there. John Duke is to get a price. 4th of July Follow-up Discussion – one resident was overheard to say that it was shorter this year than last. It was timed at two minutes shorter. We will use the same company next year. Jerry Martin suggested we might want to do something like have watermelon. Health Inspection 7/22: attached to these minutes. pH was slightly low and was corrected, some repair is needed on the ring buoy, and the handrail and ladders need some tightening. Fire Department inspection 6/24:attached to these minutes. Inspected fire extinguishers readiness and availability, and checked exit signs and lighting. Wading pool tile repair discussion.- some tiles are loose at the far end, but can wait until pool closes after Labor Day. Dale has trimmed all resident street trees. His original bid was $3,000. If anyone notices a street tree hitting the tops of cars as they drive by in the streets, notify John Duke. After doing his job for awhile, Dale Cramer believes he may have under-bid his tree trimming job as it is more work than anticipated. It should have been $4500./year instead of $3000./year. Board discussion followed and it was decided that even at $4500./yr, it is still more cost-effective to hire Dale. Ralph Gresham moved, seconded by Rob Stark to increase Dale’s fee to $4500./ per year. The motion passed 8-0. Liz Bowden and a few of her friends will help organize a back to school event at the pool. Jamy Livingston has agreed to donate her projector and screen and is checking on movie pricing. Would the Board consider making a donation of up to $500? – Judy Hammond moved, seconded by Ralph Gresham to donate the $500. Discussion followed. Rob Frits again voiced concern with licensing. John Duke will check on this as we need more details about snacks and the license for the movie. Rob Frits will work out the details and expenses. Dale has removed all of the resident street tree damage. All Around has removed all common area damage below 3” caliper per the contract. Dale removed the above 3” items in the common area (except for the willow tree and oak north of Coyote Crossing) not covered by their contract for $300. Per All Around’s contract, the charge would have been $750. The meet was well attended and I did not receive any negative comments. Animal Husbandry – POA Board in taking under consideration.- see resident concerns. ARTICLE IX , Section 15. Animal Husbandry. No animals, livestock or poultry of any kind shall be raised, bred or kept on any Lot except dogs, cats and other common household pets (not to exceed two of each category) provided they are not kept, bred or maintained for commercial purposes. Notwithstanding the foregoing, no animals or fowl may be kept on the Property which result in an annoyance or are obnoxious to residents in the vicinity. Animals are not permitted to roam the Property and must be controlled on a leash if they are not on a Lot. No dog runs shall be allowed except with the permission of the ARC. To discuss at meeting – John Duke is to set dates for their hearings and start fines if they do not show for the hearing. I think it should depend on the violation. I contacted Bella Vista to see what their POA does and they don’t have any set amount. It’s case by case when they do it at all. I’d start at something like $10/day. Architectural Review Committee: presented by Matt Baker. One request for residential solar panels. Several requests for huge commercial signs. ARC needs approval for new committee members. Security and Neighborhood Watch: presented by Officer Scott, Springdale PD. Presented the idea of having a class closer to the holidays concerning how to protect your valuables and keeping your home secure. Lakes: Presented by Ralph Gresham. Lakes are generally in good condition. One area of concern are the ponds in Founder’s Park. Most of the time, children use these little ponds, but recently adults have been fishing there, too. There is a very large carp in one of the ponds and we think this may be the attraction. The last time we had a fish that large in one of the ponds, we found it dead on the ground near the entrance to the area. Someone had caught it and not released it and just let it die on the lake bank. We discussed the possibility of making the park ponds for children only. Bobbye Kelly volunteered to chair this committee. Jason Combs asked about the situation of the dams leaking problem. Jerry Martin responded that he is not convinced that they are really leaking. Ralph Gresham will get a picture. We need to resolve whether the dams are leaking or not, or it may be just normal ‘spill over’. Long Range Planning Committee: presented by Rob Frits. 56th Street: update on expansion — Springdale will pay HBM $12,400. for the property they will take. We need to keep track to where this money goes. Matt Baker wanted to let us know that more pavers are popping up and need attention. John Duke will look into this. With no further business, the meeting was adjourned at 8:34 p.m..
Respectfully submitted this 25th day of August, 2014.